During this Older Americans Month, we want to pay tribute to a leader with whom many Health Policy Hub readers may not be familiar: Nelson Cruikshank. Nelson was a longtime leader in the labor movement who was instrumental in creating two of the most important programs for vulnerable older adults and people with disabilities: Social Security Disability Insurance (SSDI) and Medicare. Born in 1902, Nelson grew up to become a Methodist minister and, later, a union organizer. After a series of jobs in the federal government – including one setting up camps for migrant farm workers, a program later made famous in John Steinbeck’s novel, The Grapes of Wrath – Nelson became director of the AFL-CIO’s Department of Social Security. It was there that he worked to forge a political coalition that would go on to help win passage of SSDI legislation in 1956. Nelson then turned his attention to health care. Inspired by the effectiveness of community health clinics in the migrant camps he had established decades earlier, he organized a coalition of health care and senior organizations to push for a medical assistance program for older adults. This coalition took on the powerful American Medical Association, which opposed national health insurance. These efforts culminated in the passage of Medicare in 1965, signed into law by President Lyndon Johnson. Nelson retired from the AFL-CIO soon after the passage of this landmark law, but continued to work on behalf of older Americans and people with disabilities for the next two decades. He served as president of the National Council of Senior Citizens – now known as the Alliance for Retired Americans – an organization formed out of the coalition he had created to urge the passage of Medicare. In 1977, President Carter appointed him as his chief advisor on the aged. In this role, he led successful efforts to preserve Social Security benefits. I first learned about Nelson from his daughter, Alice Hoffman, who I encountered while making ACA defense phone calls. This serendipitous conversation also led me to learn that Alice is an impressive advocate in her own right. 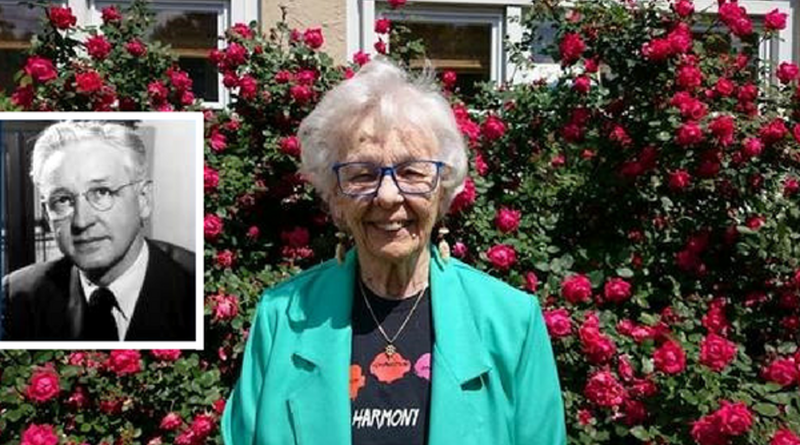 At 86, she lives in Pennsylvania and takes an active role in defending the ACA, including her efforts as a member of the Pennsylvania Health Access Network. Alice recounted a story of a visit to her retirement community from her congressman, who told the audience of older adults that while Medicare and Medicaid were going to undergo drastic changes, they wouldn’t have to worry since it “won’t affect you.” No shrinking violet, Alice immediately stood up and challenged the representative’s assumption that older adults don’t care about the next generation. Her comment was met by loud applause and cheers from her fellow audience members. More recently, Alice has become very involved in a coalition working to advocate for a single-payer health system, carrying forward her father’s vision of achieving high-quality, affordable health care for all.